I am going to cover some of these insurance retirement plans, since I have the resources to do so. I am doing this in order to let readers see it from my perspective. This is so that, if you met up with an adviser and this is put in front of you, you got another way of looking at it. Since I written a whole section on retirement planning & financial independence, it does make sense for me to view these plans, putting those considerations in mind. AXA Retire Happy Plus belongs to a class of limited payout retirement plans. 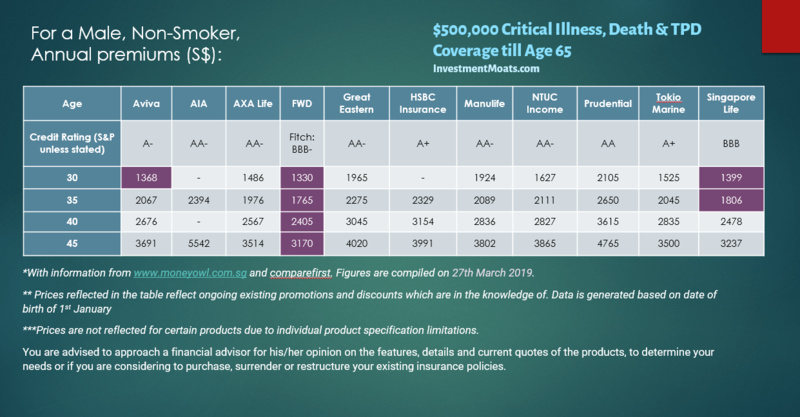 Sam choose to contribute premiums over 25 years and chose to payout 5 years later at age 61. Sam can choose different duration of premium payments from 5, 10, 15, 20, or 25 years or a Single Premium (one lump sum). Sam can choose when the retirement payout starts provided it is 5 years away from the last premium payment. In this illustration, Sam chose to pay out all his accumulated assets over 15 years as cash flow. Same has a choice of 15, 20 years or lifetime. 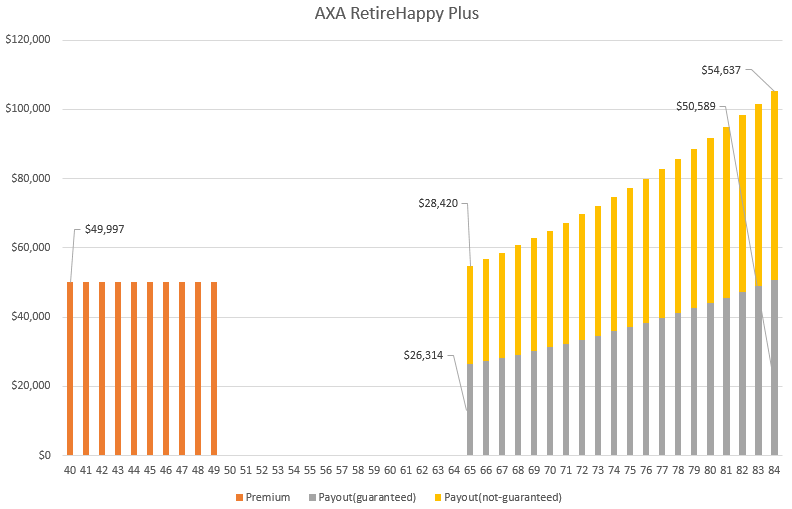 At this point I think AXA Retire Happy is a rather flexible plan. A lot of plans leave me wanting because you cannot contribute a lump sum or that you cannot space out the distribution over the lifetime. You notice that both the payout starts low before increasing over time. Some retirees will like this because they see the 3.5% escalation as protecting their purchasing power over time. But how do we measure the performance? The rate of return that you will get, depends on the performance of the participating fund. 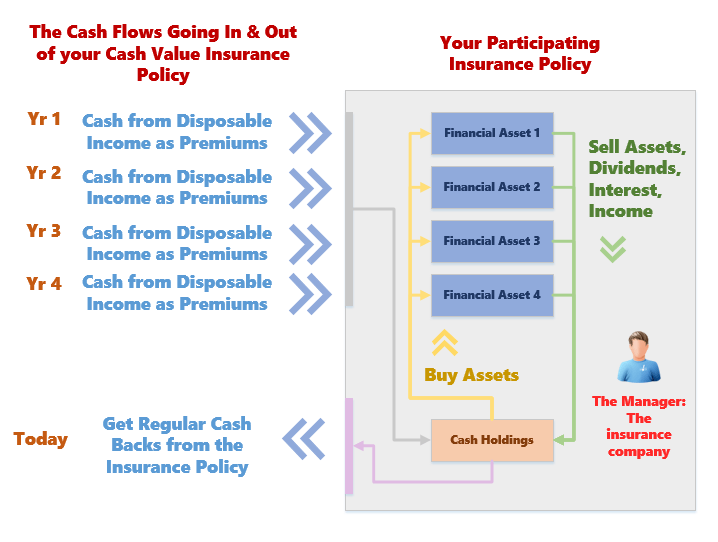 When you purchase a cash value insurance policy like this one, you are transferring the investment management to the insurance company. I usually use the above diagram to illustrate how you should look upon your wealth management. The same concept is applicable to your insurance policy that has a cash value. You feed your policy by paying the premiums through your disposable income. The insurance company takes your premiums and deploys it into equity, bonds and cash. The income earn from equity and bonds is fed back within the fund itself. The manager determines how much cash back it gives back to you. 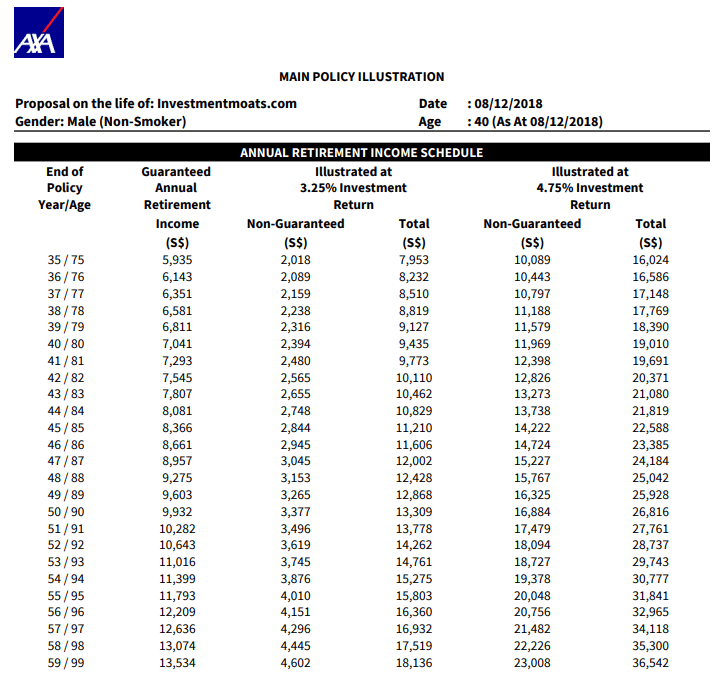 The table shows the rate of return of the participating fund for AXA Retire Happy Plus. In some years it is positive, and in some years it can be negative. I want you to note the average performance over the past 3, 5 and 10 years. 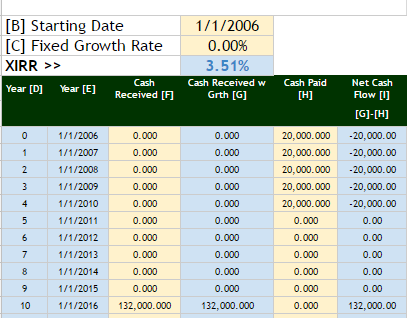 Your rate of return, is determined by the rate of return for the participating fund. 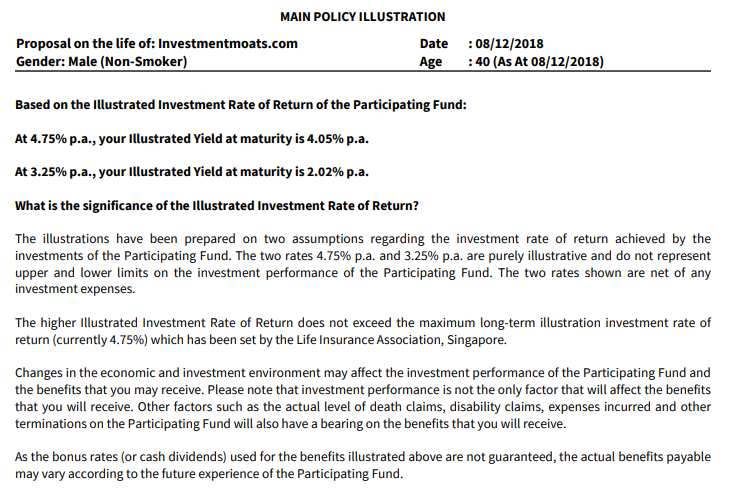 In the benefits illustration, you will see the rate of return. The illustrated yield at maturity, is equivalent to the internal rate of return I usually compute. What it means is that if your participating fund achieves a rate of return of 4.75%, your internal rate of return over this period (40 years old to 84 years old, 44 years) is 3.75%/yr. This 3.45% includes the 3.5% inflation escalation. 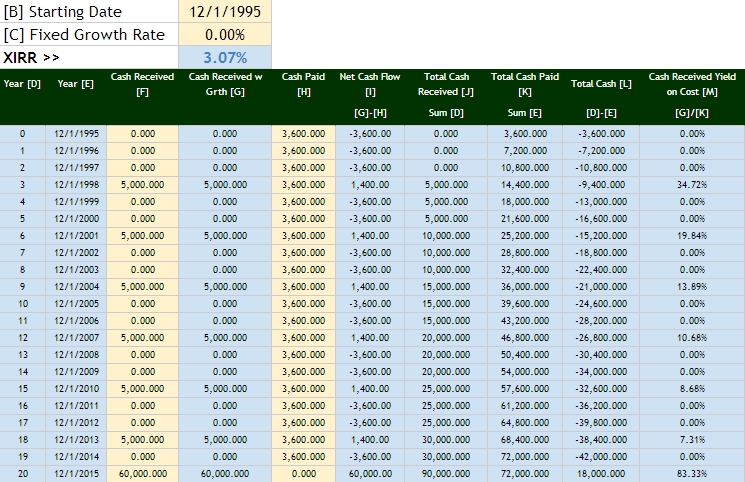 If the participating fund yields 3.25%, then the rate of return is 1.92%. Think of internal rate of return as the “interest rate” you earned for contributing your money over this 44 years, and what you get per year. 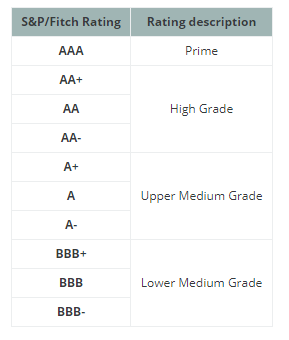 With this you can compare it against your Singapore savings bonds or Singapore government securities. The 10 year yield of the latest Jan 2019 Singapore Savings Bond is 2.45%. What this means is that potentially the Singapore Savings Bond would yield more than this AXA Retire Happy Plus. 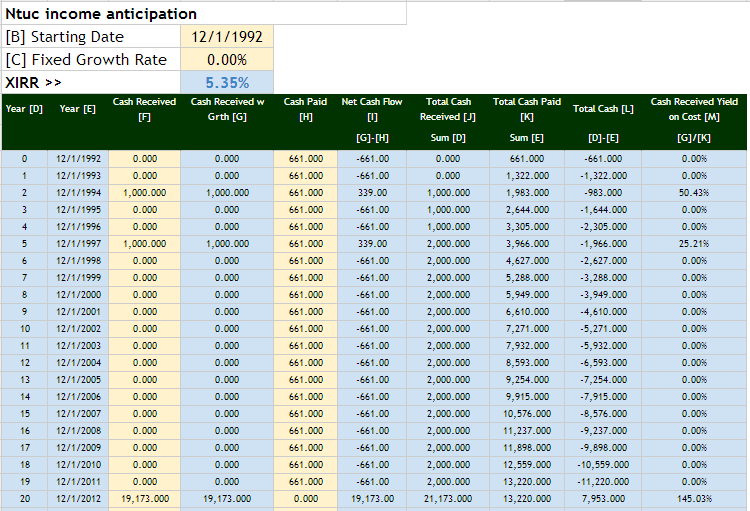 Based on the historical returns of the participating funds, it might not hit the illustrated 3.75%/yr. Of course, we won’t know about the returns of the future but we can reference from the past. 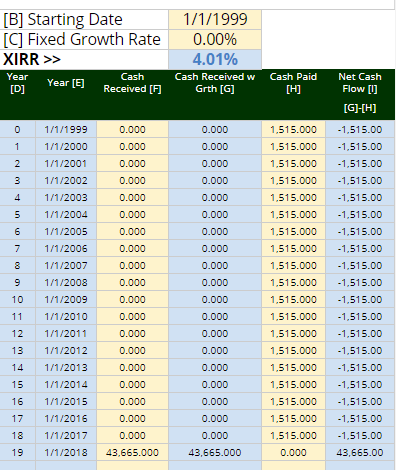 What if we only compute the internal rate of return of the guaranteed portion? 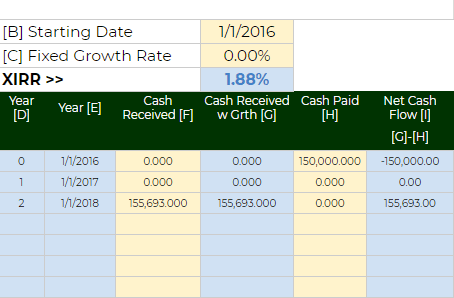 We computed the internal rate of return of the guaranteed portion and it is 1.29%. This means that if you contribute and withdraw from this policy and it only earns the guaranteed amount, its like earning only a 1.29% interest per year. I think your returns should sit somewhere between 1.92% to 3.75%. Based on the illustration, the policy holder will pay a premium of about $499,973 in total over 10 years. 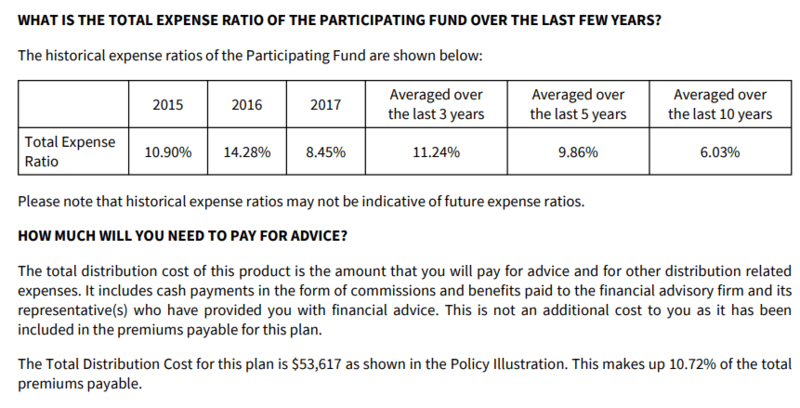 The total distribution cost, which is the cost from the premiums that are used to pay for advice, commissions to your adviser and the firm, is $53,617. That is about 10.72% of the premiums. The total expense ratio shows the expense incurred from managing the participating fund. At an average of 10% for the past 3 to 5 years, that looks rather high, compared to some of the other participating funds. 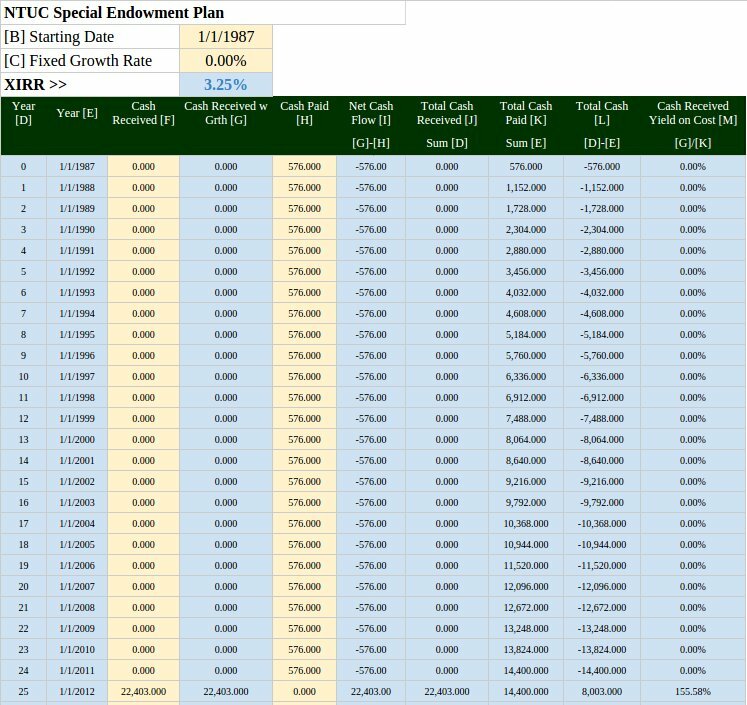 What about a Lump Sum Premium, Life time Distribution? 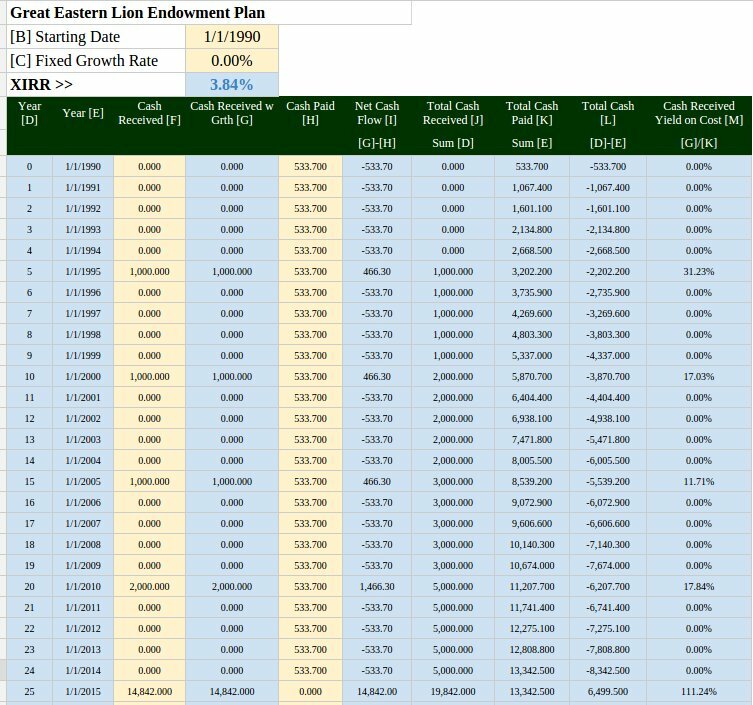 So I got my friend to come up with a single premium quote for $200,000 in premium at 40 years old and start taking annual cash flow from age 50 to age 99. In all honesty, after getting this, I thought it would be better to pay a single premium at age 45 years old and then take distribution 5 years later at 50. In that case, it would make this really look like an annuity. But I shall not trouble my friend to do this. 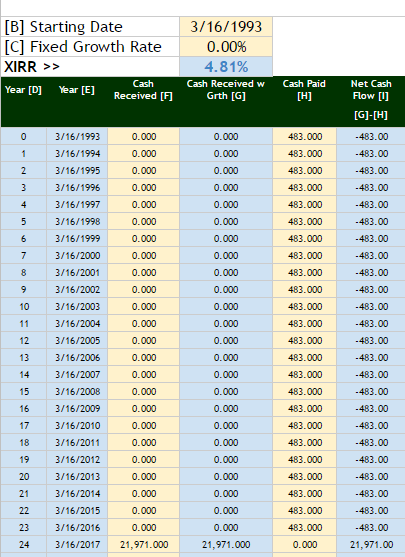 From the income schedule, at 50 years old I could get an annual income of $3,361 to $6,771. The internal rate of return, depending on the investment rate of return, is higher at 2.02% to 4.05%. It is higher compared to the previous regular premium quotation. I think what made it lower was the escalating nature. Usually, if a policy have this feature, they will start the income distribution at a lower base. This is the same for the CPF Life with Escalating feature. 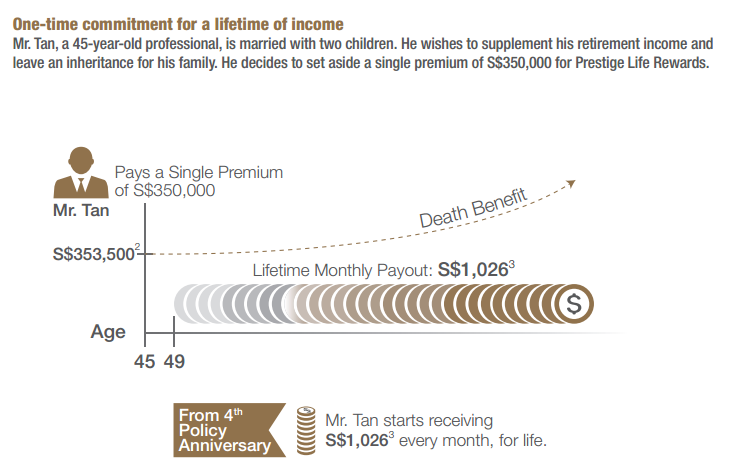 The yield on the single premium Retire Happy Plus looks far lower than contributing to the CPF Life annuity. I believe the main reason is, unlike the Retire Happy Plus, CPF Life pools the people’s resources together and thus you will receive mortality credits, which boost the return. 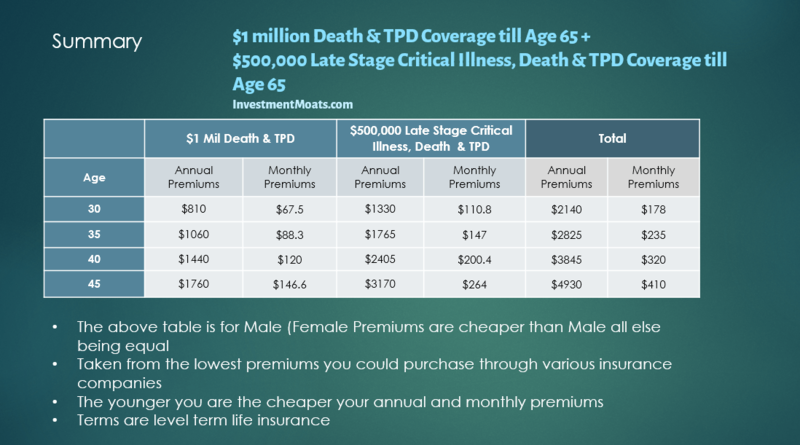 The distribution cost on this single premiums is $11,647. 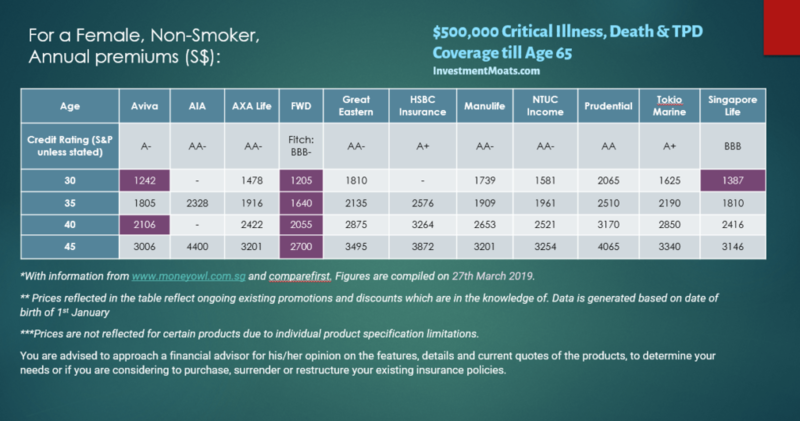 Against a policy cost of around $200,000, the distribution cost is 5.8% of the premiums paid, much lower than the 11% for the previous regular premium policy. 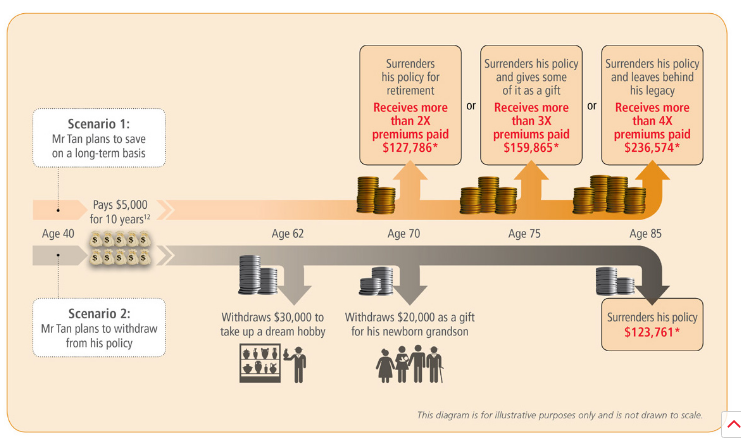 Suffice to say, I feel compelled to contribute to CPF Enhanced Retirement Sum then this policy. While on paper, I like the flexibility of contribution and distribution, the internal rate of return, when compared against similar retirement insurance plans, are not the highest. You could be mistaken that the escalating payout feature is a major advantage. 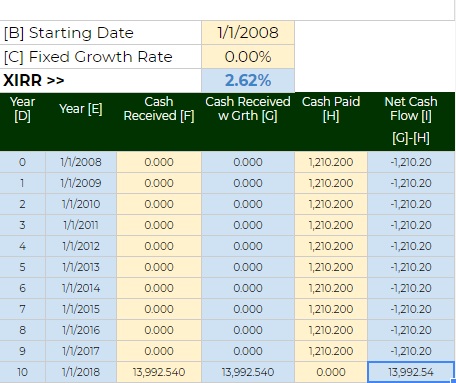 The internal rate of return of the policy based on guaranteed, non guaranteed returns tell us that if we compared against a non inflated payout product, the non inflated payout product might give you more cash flow over time. 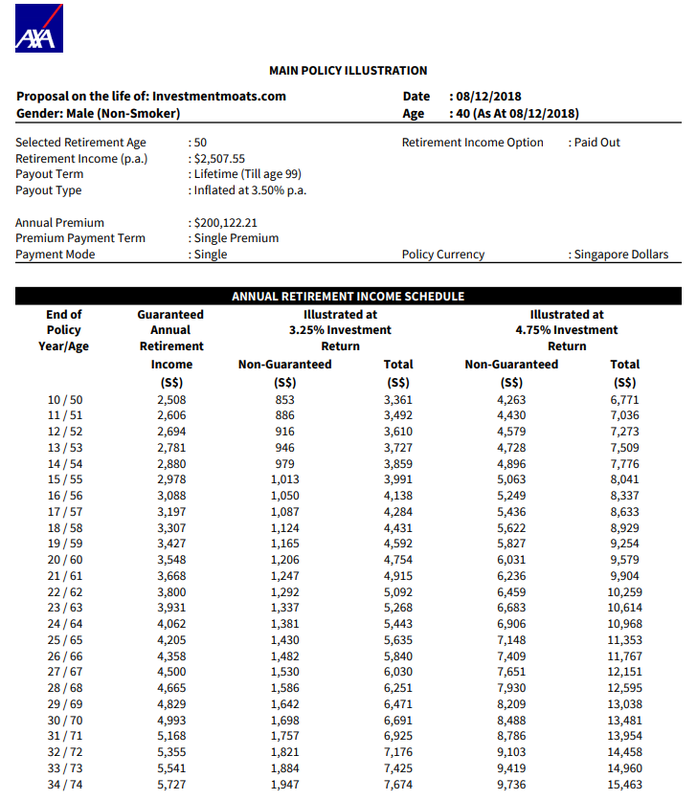 This policy could be modeled as a single premium annuity, but it does not give you that return. The upside of a retirement plan is that, for an annuity, if the assured passes away, you might only get a smaller bequest. For such a retirement policy, should the assured passes away, the remain death benefit or cash flow, would be passed to the next generation. I will probably profile another similar retirement plan next week, then we see how that plan measures up to this one. 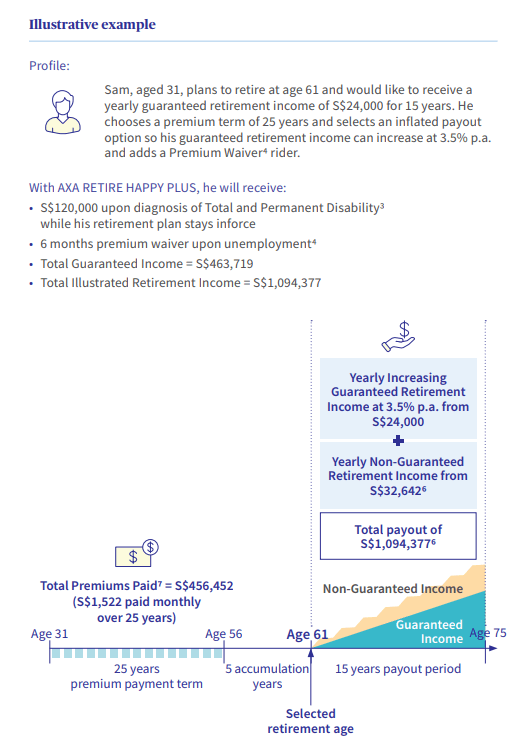 A plan like Retire Happy Plus is meant more for retirement distribution. Whether it is suitable for you or not, it will depend a lot on your overall plan. From my experience, plans like this do not work on its own, but as part of a retirement strategy. If you are unsure such a plan fits into your overall strategy or not, yet you would like someone that is competent, trustworthy enough to review your retirement strategy, let me know. I can put you through to my friends who have integrity, and may be able to help. 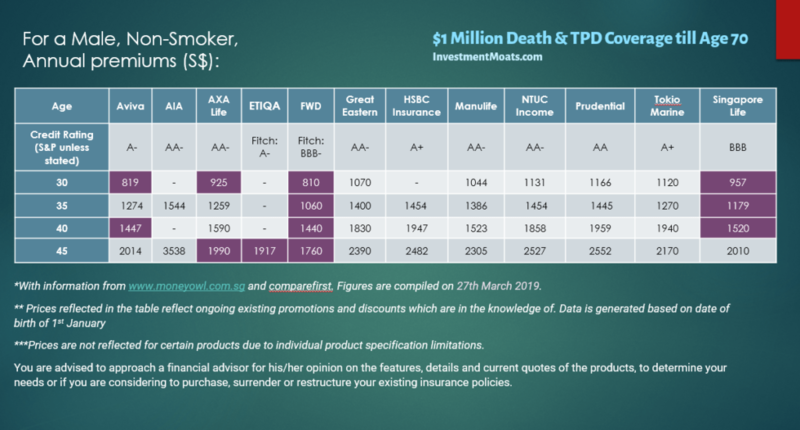 We went through some policies such as Aviva’s MyRetirement Choice and OCBC PremierLife Generation showing the projected returns the policy holder could potentially get. Through the article, the biggest determinant of the policy performance is in the investment return of the participating fund. So how is the reality versus projection. Your whole life insurance, limited whole life insurance, insurance savings endowments and universal life policies are policies with cash values. 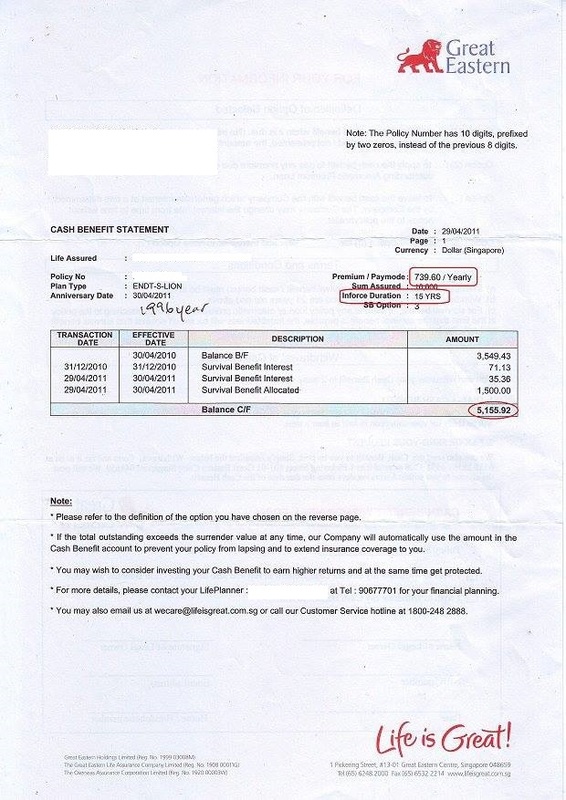 When you buy such policies with cash values, you are TRANSFERRING the job of building wealth to the insurance company. Your insurance premiums paid contribute to participating funds, which are either the main funds or sub funds formed by the investment managers in the insurance companies to meet the objectives of the various cash value insurance policies. How well your insurance policies do eventually in terms of returns will depend on the performance of the participating funds. The following is taken from the Benefits Illustration (BI) , which explains your policy in detail. The surrender value illustrates to you the projected surrender value you could get, if you liquidate your policy at that specific year, or age. 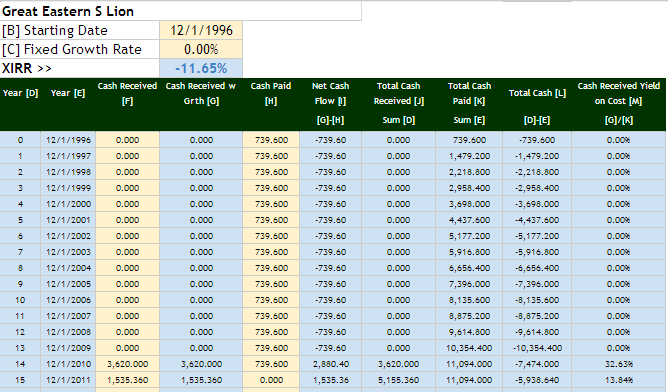 Notice that there are 2 sets of figures, one for projected at 3.25% investment return and one 4.75% investment return. This is to give you an illustration of the potential of your policy. The sales conversation often is lead in such a way that the insurance adviser and the client were discussing as if the 4.75% return is given. Let us take a look some data. Business Times recently published an article name Upbeat forecast lends hope of better returns for insurers. This data is much more comprehensive than the 7 year historical performance data we have previously. Each row shows the average return over that X number of year span. For example, the first row shows the 11 year average return which spans from 2006 to 2016. AIA is 4.36%/yr. The last row shows the average of the insurers over that time frame. The 8 year period is the best period, where they start at the bottom of the market in 2009 going all the way to the market highs in 2016. The average return of 4.97% beat the target of 4.75%. Firms like AIA, Tokio Marine and Prudential did very well. Given that Tokio Marine and Manulife did well on a 11 year basis, and that they failed to match up across various years, the conclusion here is that you cannot choose which insurer to go to for a higher investment returns because returns among these active managers are volatile. The difference when you put your money in an insurance policy is that you have transfer the investment scope of work to the insurance company and in this case across different time frame, the average return has been positive. Comparing returns versus stocks, REITs and bonds is not an apple to apple comparison. If we compare risk adjusted returns, the picture might be different. In some time frame, the insurers was able to hit 4.75%. 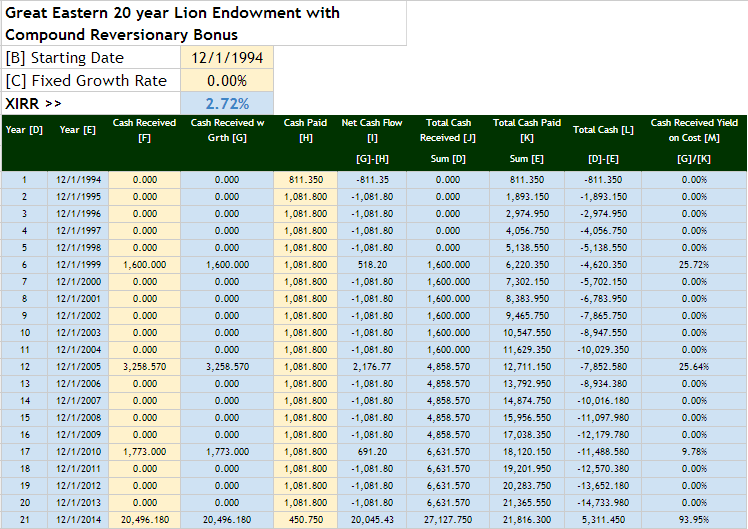 Prudential and AIA in particular have shown good investment returns over various time frame. Yet the Participating Funds of insurance companies struggle to hit the 4.75% target. If you read your benefits illustration, they will tell you that your projected returns depend on the investment performance of the fund. There are cost deductions from the returns of this fund. What this means is that the returns are LOWER than this. 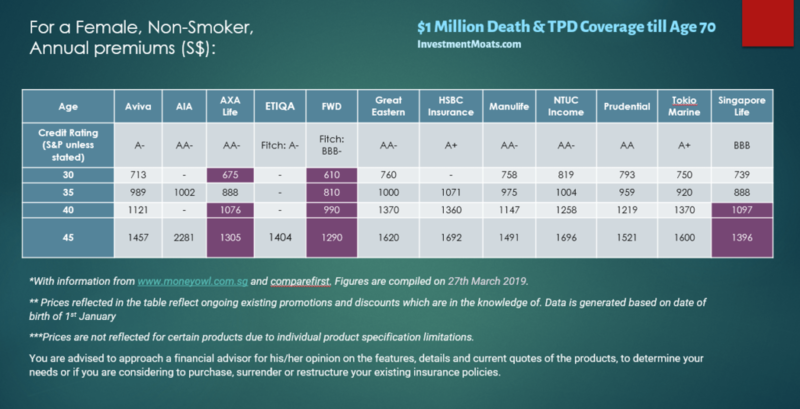 This updated table, while not providing the compounded growth, or XIRR does show evidence that some insurers like AIA and Prudential were able to generate investment return that is close to what was illustrated. However, it is not a given that these insurers who achieve higher average returns would continue to do so. A good example would be Tokio Marine achieving a good 11 year average return and their poorer performance in recent years. Taken as a cohort the average returns are lower. The returns will depend on your luck during this 10-25 year time period when you are holding on to these participating policies.